Add A Garage Founder Fred Pavlow gained his initial construction experience building airfields in the South Pacific during World War II. Settling in San Francisco after the war, Fred went on to become one of the largest underground contractors in the West, having worked on such massive projects as the BART tunnels and the foundation for the 52 story Bank of America building at 555 California Street, San Francisco. After selling the business and comfortable in retirement, Fred couldn't resist exploring a new construction venture. He knew the frustration shared by many of finding street parking because older homes had not been built to accommodate parking. So in 1987, he started Add A Garage with Ken Bloch to create living or car and other storage space under homes and multi-family buildings in San Francisco. During its successful history, Add A Garage has successfully completed hundreds of projects. Ken has personally supervised every one of them to ensure high quality and customer satisfaction. Using state of the art excavation, underpinning and shoring techniques, with steel and concrete as the primary building materials, Add A Garage makes buildings safe and secure, protecting them from seismic events and soil movement. Add-A-Garage Construction Company is commited to sustainable design and environmentally friendly architecture. Please contact Add-a-Garage to speak to a LEED accredited professional. © 2015 - Add a Garage Construction Company. 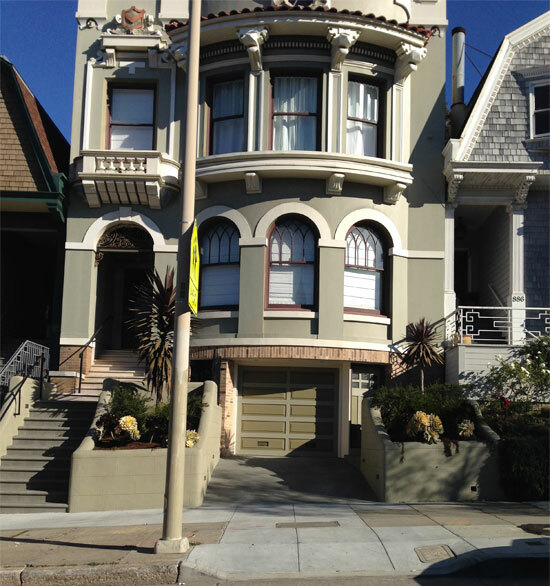 2655 Van Ness Avenue #3. San Francisco, CA. 94109.